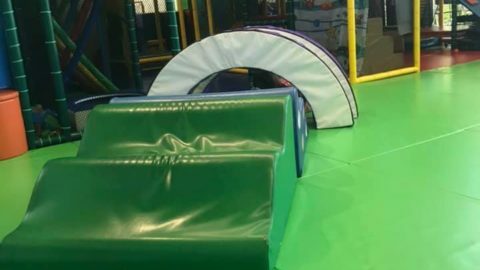 Coventry Village Play Area is located across the road from the Galleria shopping centre in Morley and it is a great place to do some shopping or grab a meal. It is a huge markets space being 4.5 hectares in size and encompasses over 170 shops. 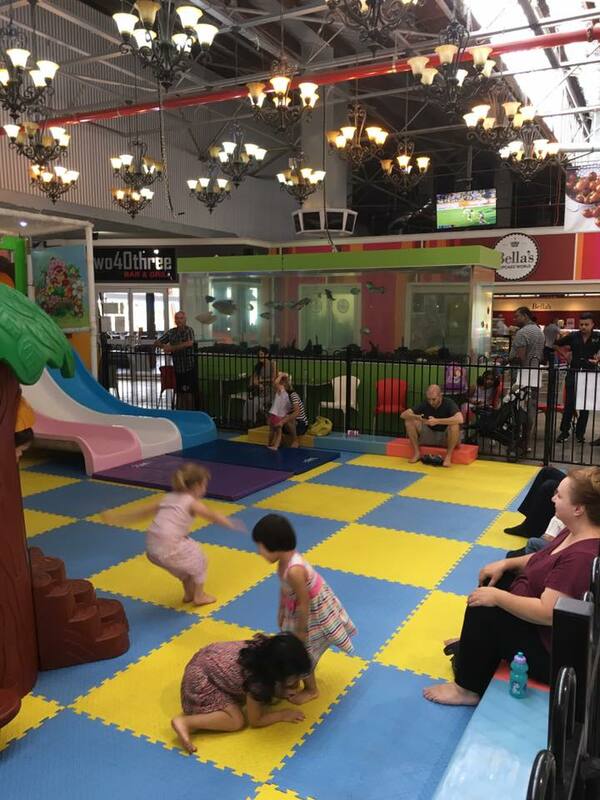 The best part of this shopping village is that they have an awesome kids playground located at the Walter road side of the centre (near the cafe strip). 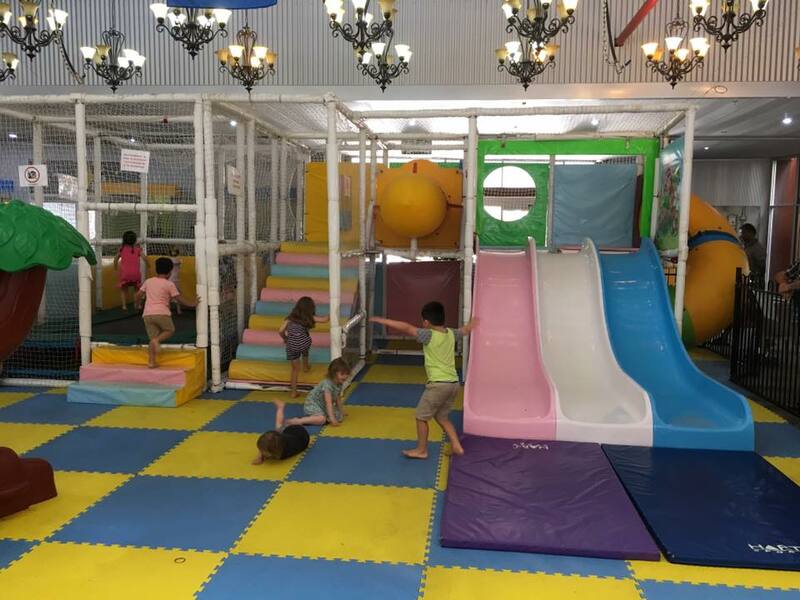 The playground is fully enclosed with child proof fencing and children are required to play without shoes as there is cushioned flooring throughout. There is seating along the front of the playground so that parents can supervise from inside the play area but there are tables and chairs situated along the outside of the fence as well.This means at its nice and easy for parents to enjoy their order of coffee or food etc while still being able to watch their kids play. This playground is only suitable for children under 6 years of age and must be no taller than 1.1m tall. 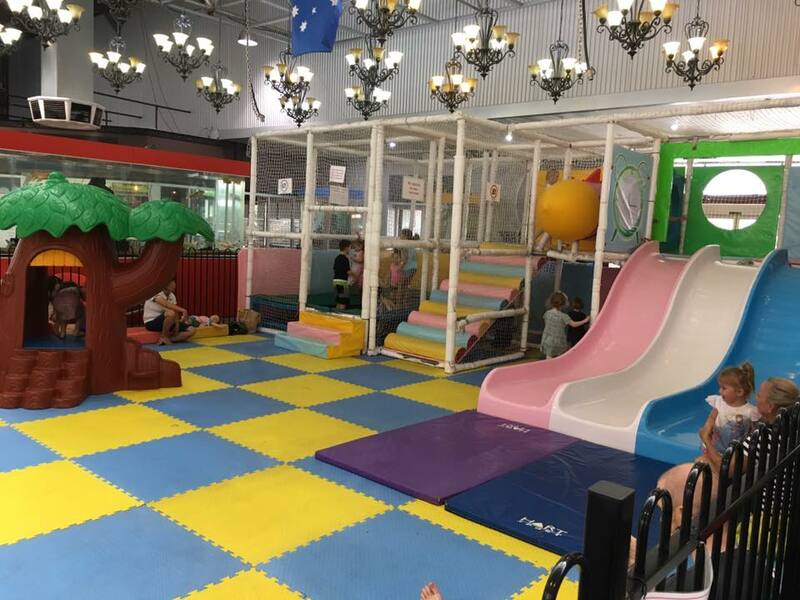 This means that us parents of young children can enjoy these facilities without the fear of our toddlers/preschoolers getting hurt by older kids or rough play. On the weekends Coventry village provides a security person during the day to help keep an eye out for older kids or any dangerous play occurring. The lady security officer who I spoke with when I was there, was very lovely with all the kids and was even helping parents with opening the gate to let the kids in. I found it really handy that she was not letting any kids out without a parent being present to collect them. The playground itself has a decent size trampoline with mats over the springs as well as a netting wall around the sides. The front of it has foam steps to help cushion any falls etc. There is a great obstacle climbing ladder to an upper-level play area with 3 race slides and 1 twist slide. 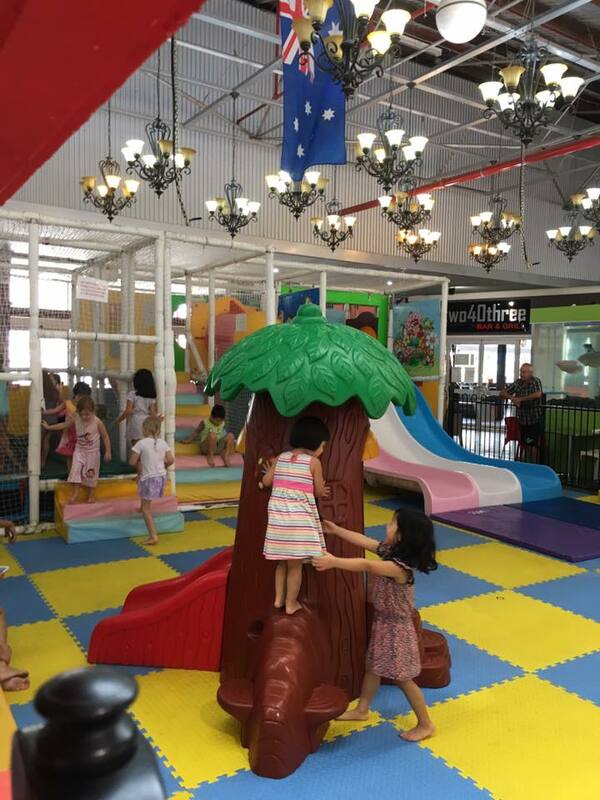 For the youngest kids, they have this really cute tree activity centre with a slide. 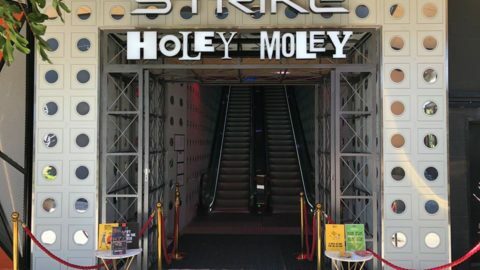 Every time we take our kids there (which is a lot!) there are always kids having a great time and with hardly any tears unless it’s home time. 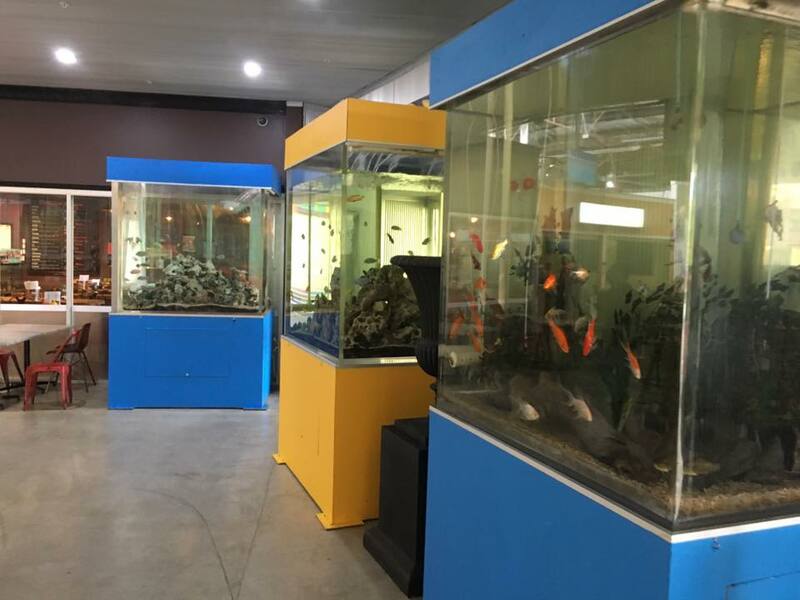 Along the outside of the play area there are quite a few large fish tanks which always provide great entertainment for the kids when we are leaving. 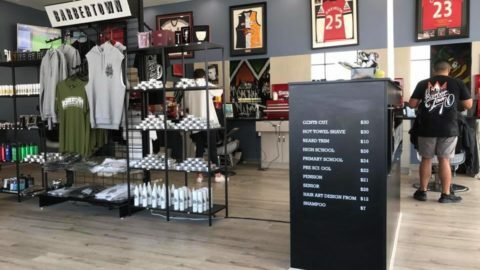 This place is such an easy way to get some shopping done while my husband watches the kids! Coventry village is located 243-253 Walter Road Morley and has heaps of parking off Wellington Road. Coventry Village Markets are open 7 days a week 8.00am – 7.00pm and until 9.00pm on Thursdays.